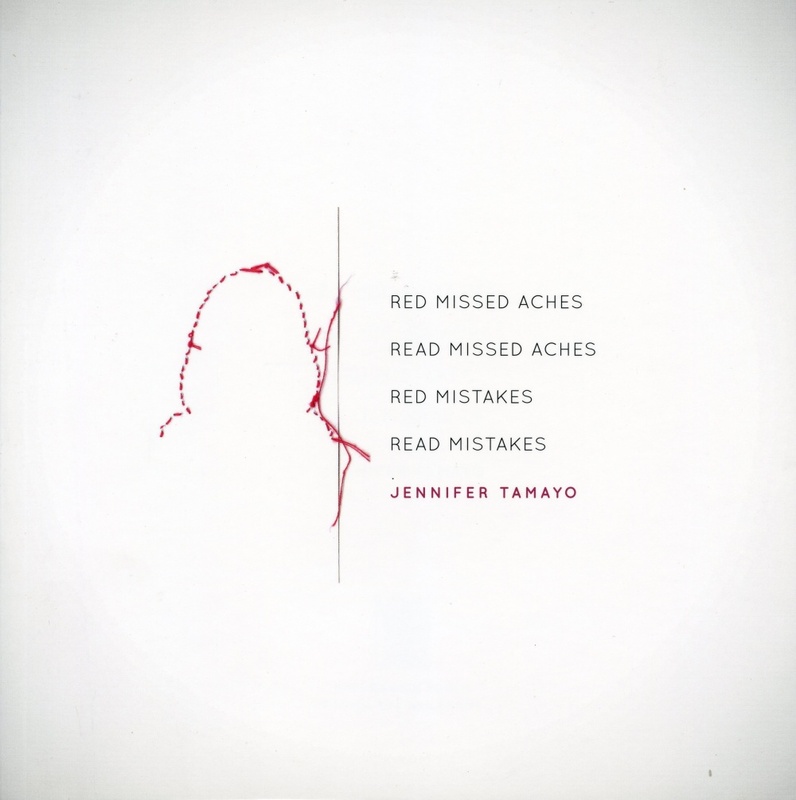 "Jennifer Tamayo's writing is cacophonous, rude, and stripped. She uses equal measures of English, Spanish, and Spanglish; she landmines her poetry with malapropisms so the music is startling and pleasingly discordant. [Red Missed Aches] feels defiantly unfinished, adhering to DIY feminist punk aesthetic so that it is more rough assemblage than bound book, a palimpsest that provocatively revises female sexuality and citizenship. Tamayo's debut collection is a daring and astonishing work that refuses borders." "... The “I” in this stunningly original collection is stripped of its singular subjectivity, screen shot into a “contiguous state” of her fluid worlds that compellingly, and luckily, Tamayo shares with us in ours." Jennif(f)er Tamayo is a queer, migrant, formerly undocumented poet, essayist, and performer. JT is the daughter of Nancy, Flora, Leonor, Sol, and Ana. Her poetry collections include [Red Missed Aches] (Switchback, 2011) selected by Cathy Park Hong for the Gatewood Prize (2010), Poems are the Only Real Bodies (Bloof Books 2013), DORA/ANA/GUATAVIT@ (RSH 2016), YOU DA ONE (2017 reprint Noemi Books & Letras Latinas's Akrilica Series) and, her latest publication, TO KILL THE FUTURE IN THE PRESENT (Green Lantern Press, 2018). Most recently, her writing has appeared in Contemptorary, Perigee, and The Capilano Review. JT has held fellowships from the Hemispheric Institute for Performance & Politics and CantoMundo. Currently, JT lives and works on Ohlone and Patwin lands.